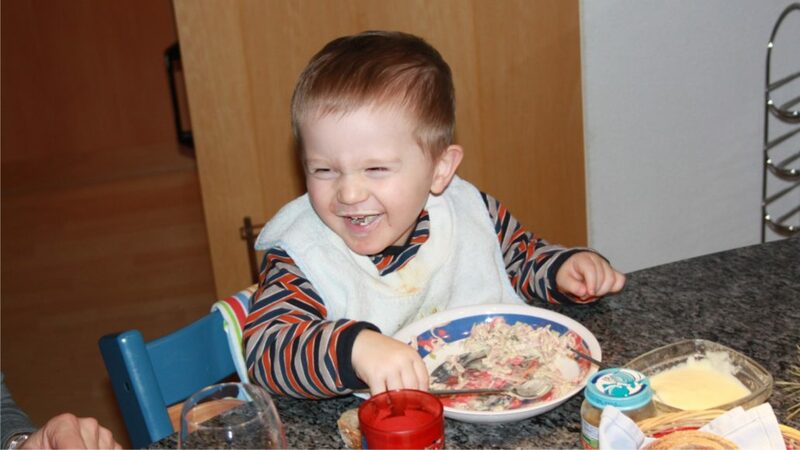 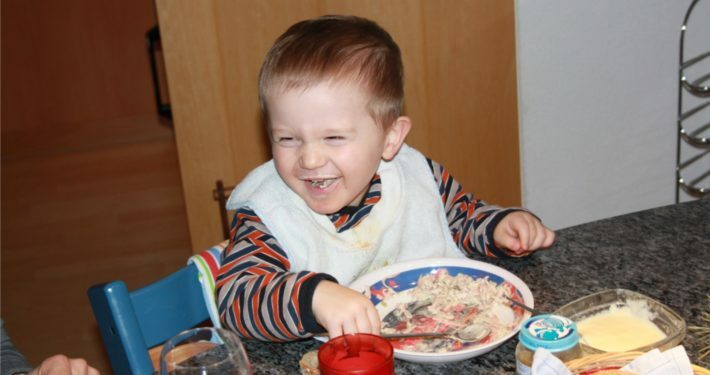 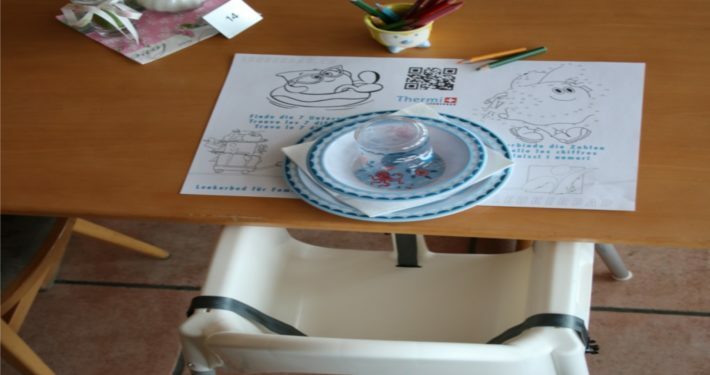 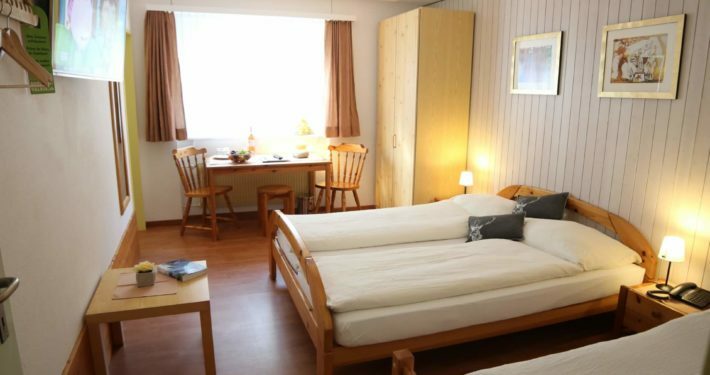 We have two three-bed-rooms with variability, so they even offer enough place for an extra bed or a babycot. 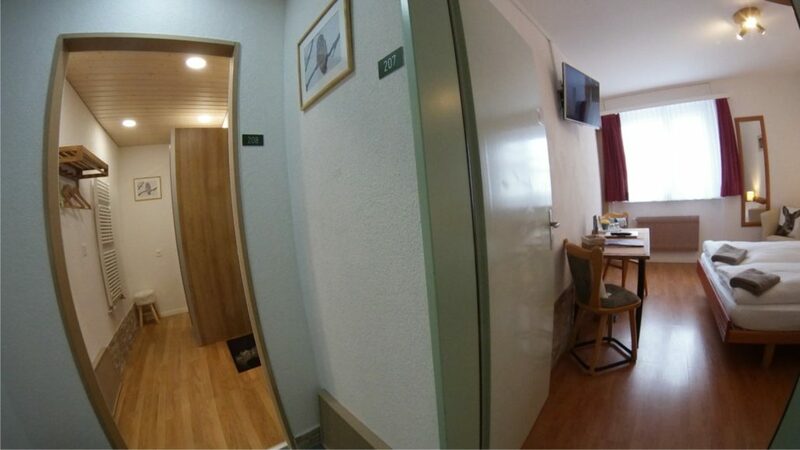 Inside you will find one double bed for the parents and one single bed, as also its own bath with shower and toilet/WC, hairdryer, make-up mirror, cable-LCD -TV with radio, safe and free wifi. 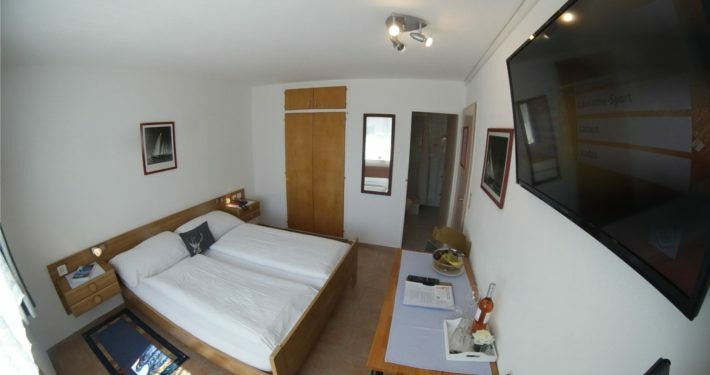 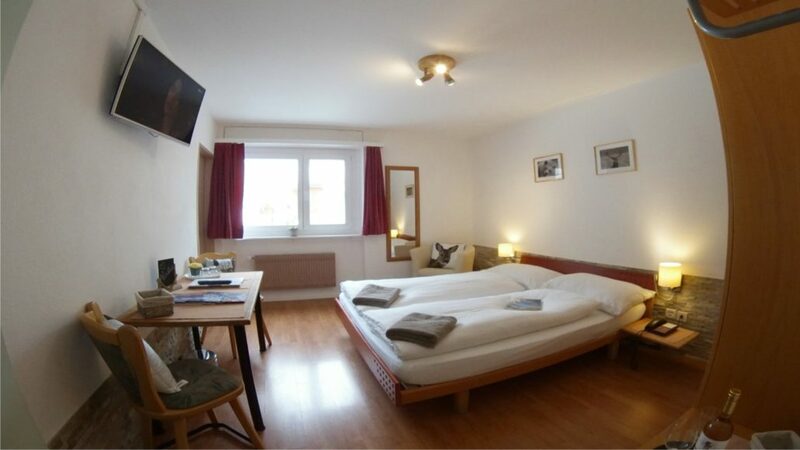 These rooms are the superior double rooms 201+203, in plus the room 201 offers place for a 5th bed. 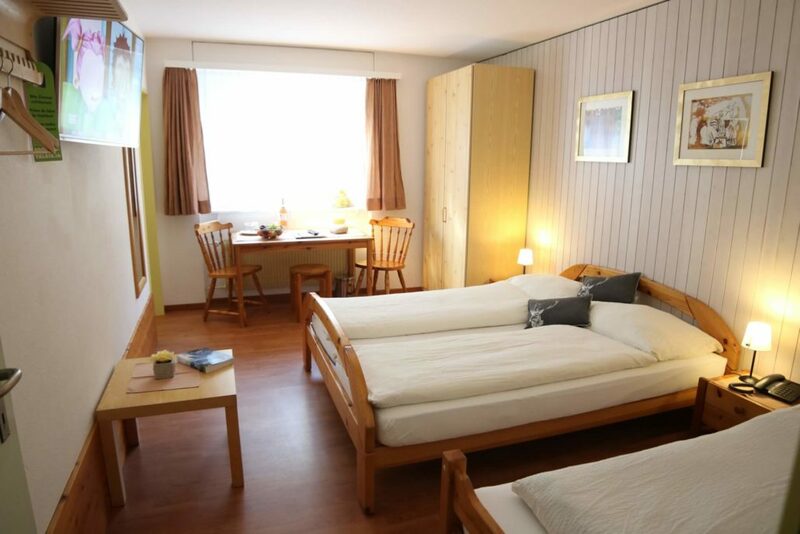 The other 2 double rooms are 207 + 208, they offer one double bed and 2 separated beds. 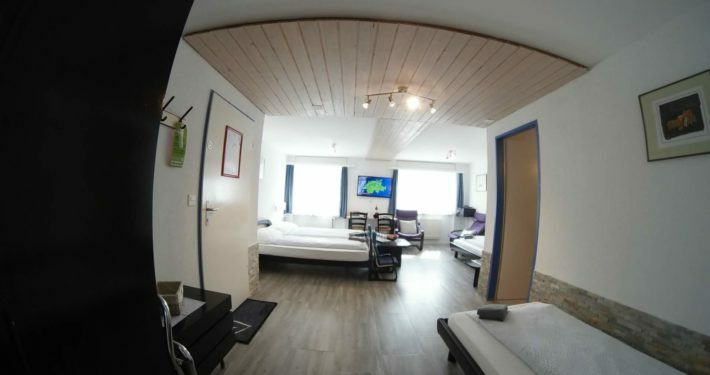 These rooms have the same standard as already described. 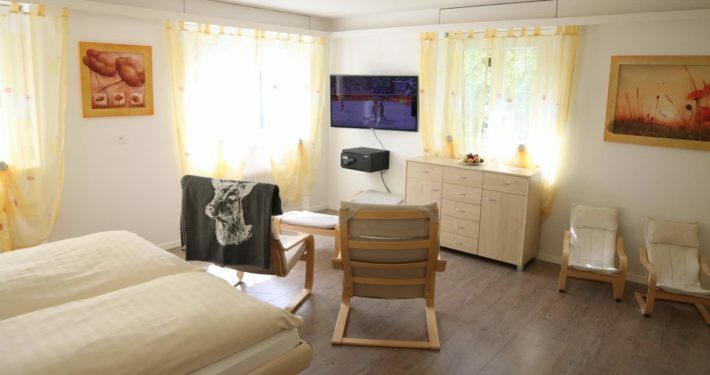 Every room with the own TV, safe…. 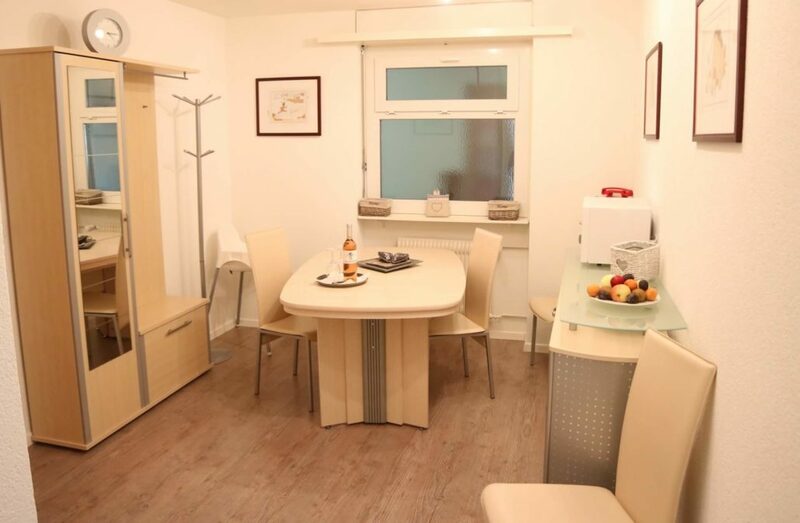 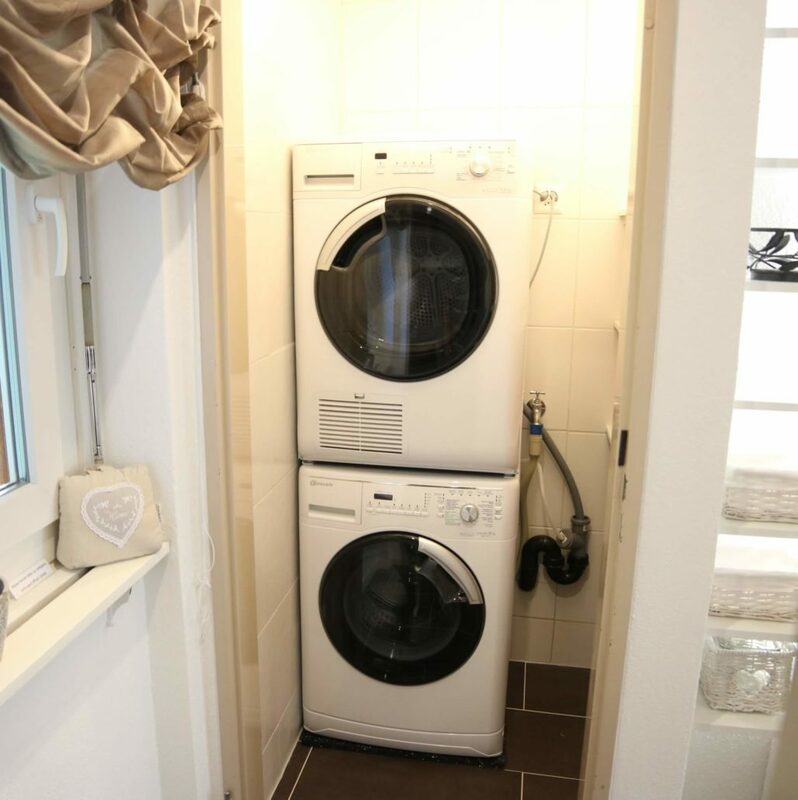 Every room with own bath, safe, tv, table cupboard…. 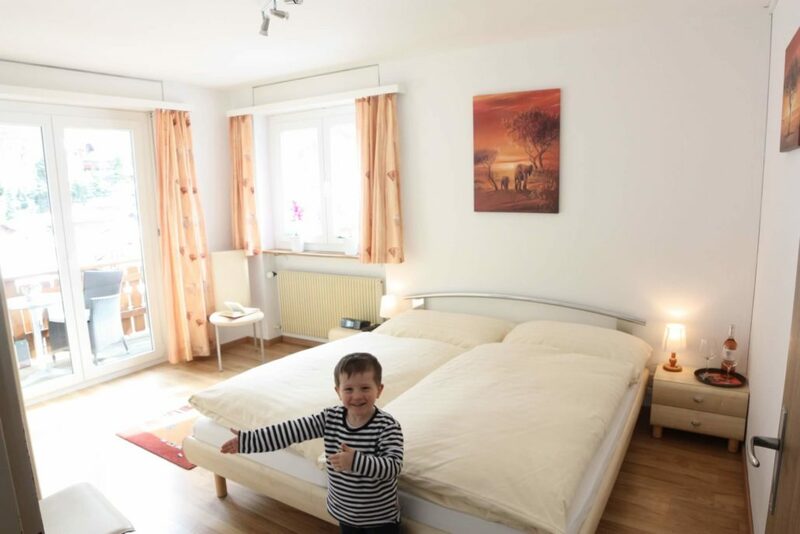 These 2 four-bed-rooms are the best for families with small and young children. 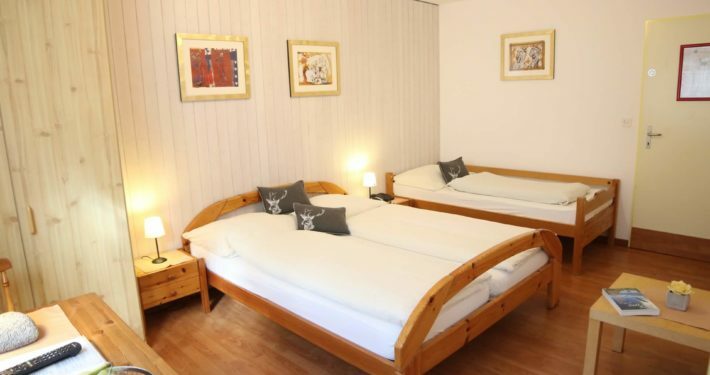 The whole family sleeps in the same room, where you will find a double bed for the parents and two separated single beds. 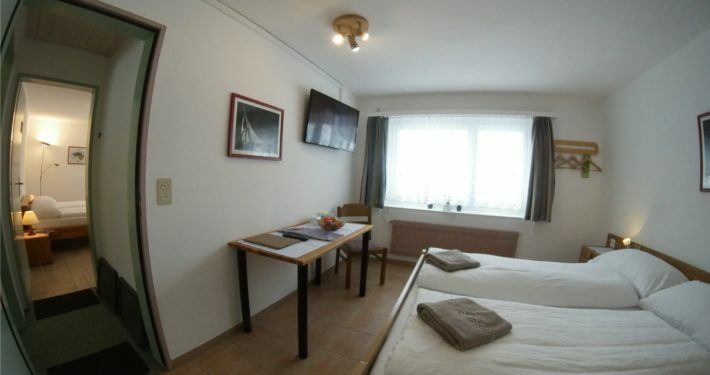 Each room also has its own bath with shower and toilet/WC, hairdryer, make-up mirror, cable-LCD -TV with radio, safe and free wifi. 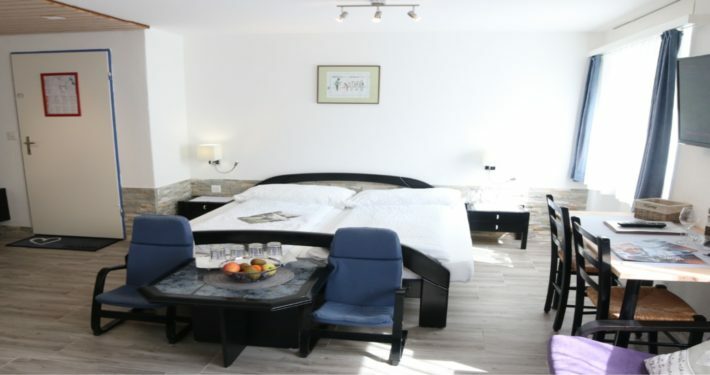 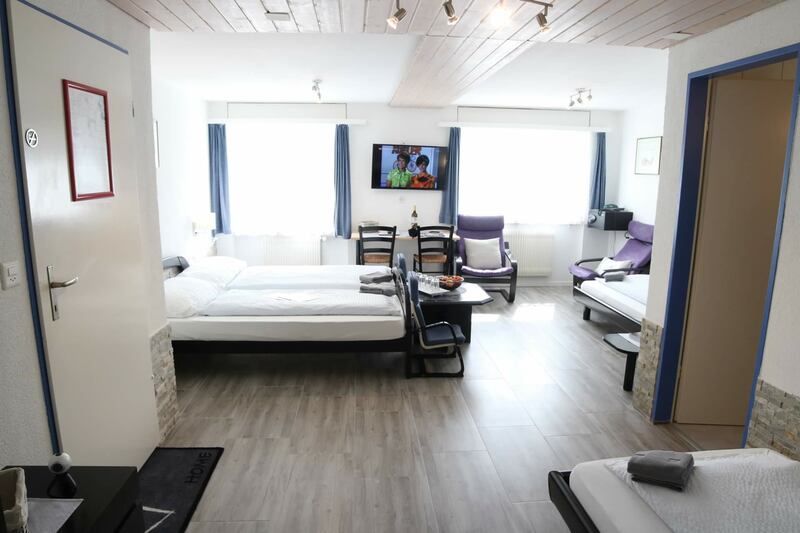 This modern & new renovated 4 room flat apartment has 88m2, with seven beds and one babycot and is the only one in the hotel. 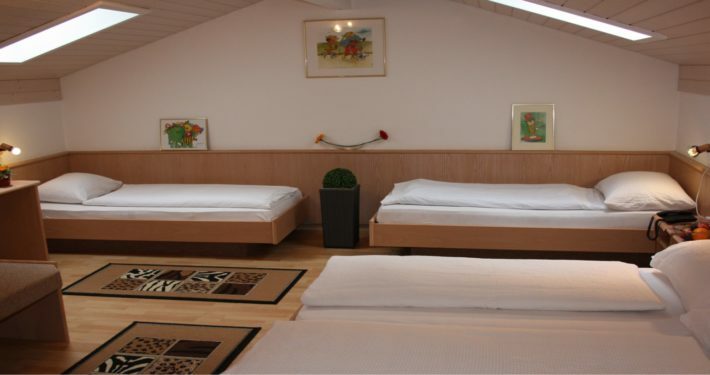 It is ideal for families. 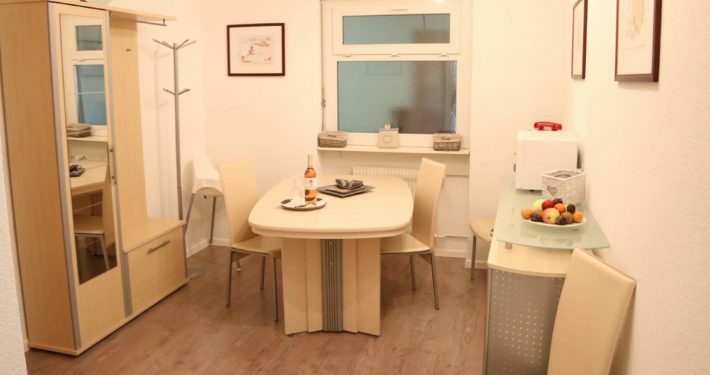 There is a modern & equipped kitchen inside with dishwasher, washing machine & tumbler. 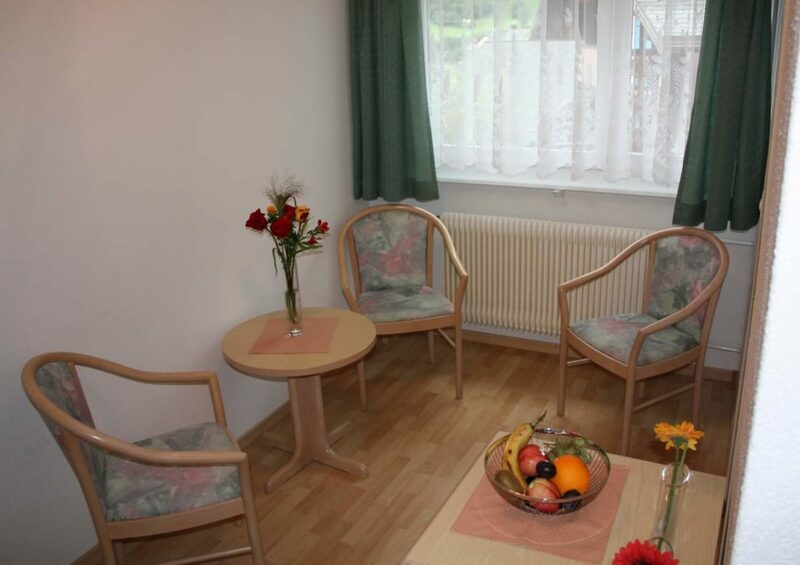 The eating room has one part with the entrance door and coat rack. 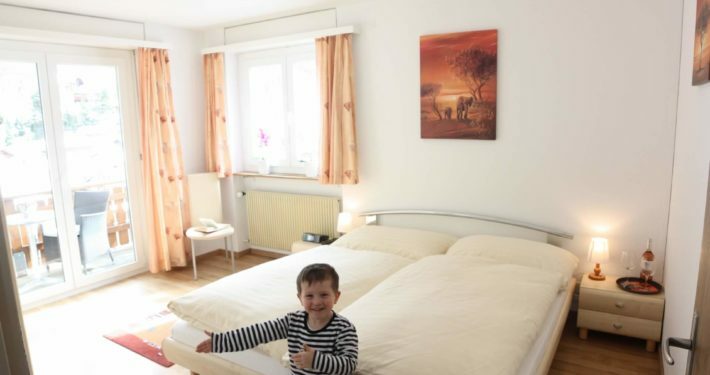 The family sleeping room offers one double bed(180x200cm) and 1 separated bunk bed(80x200cm) as also three-piece suite for adults and children with cable-LCD-TV & radio function. 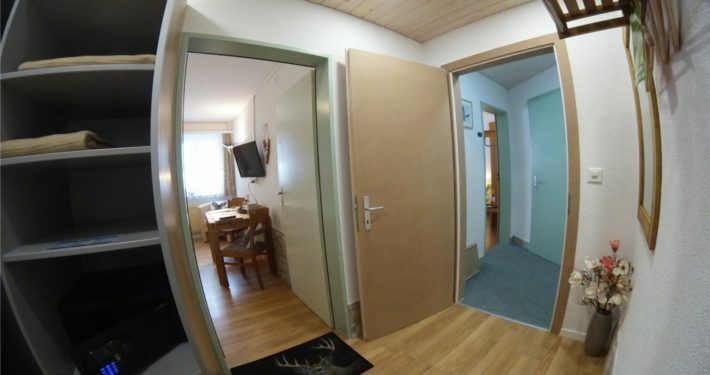 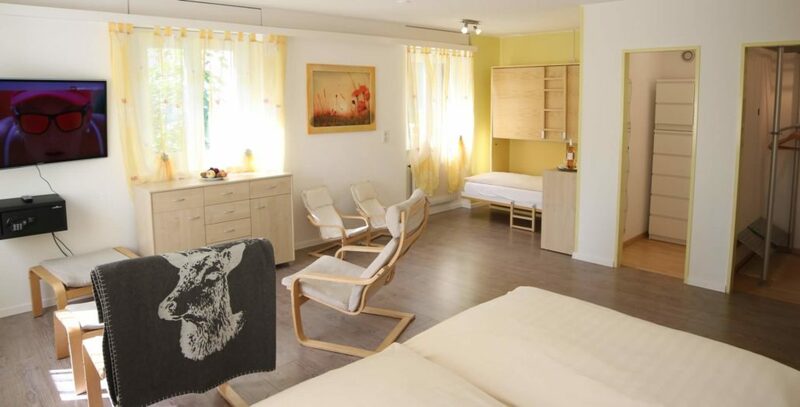 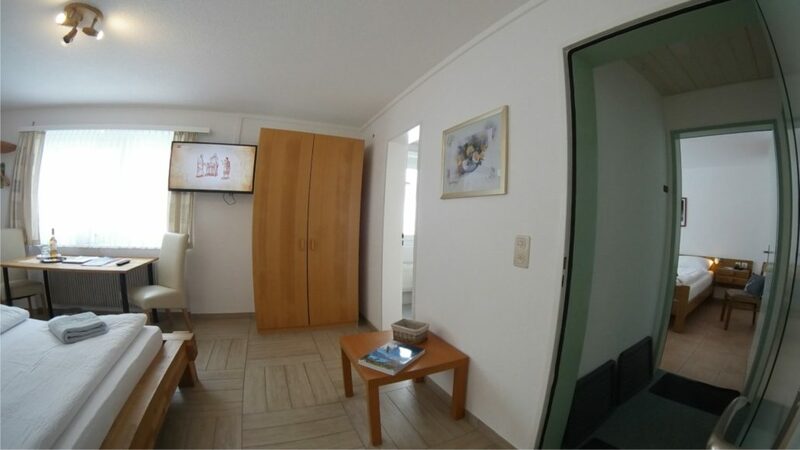 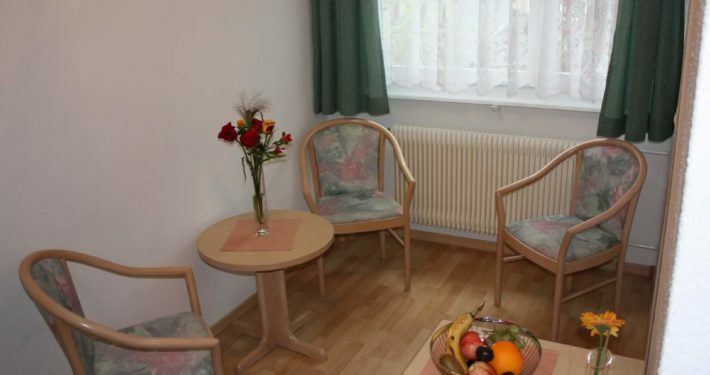 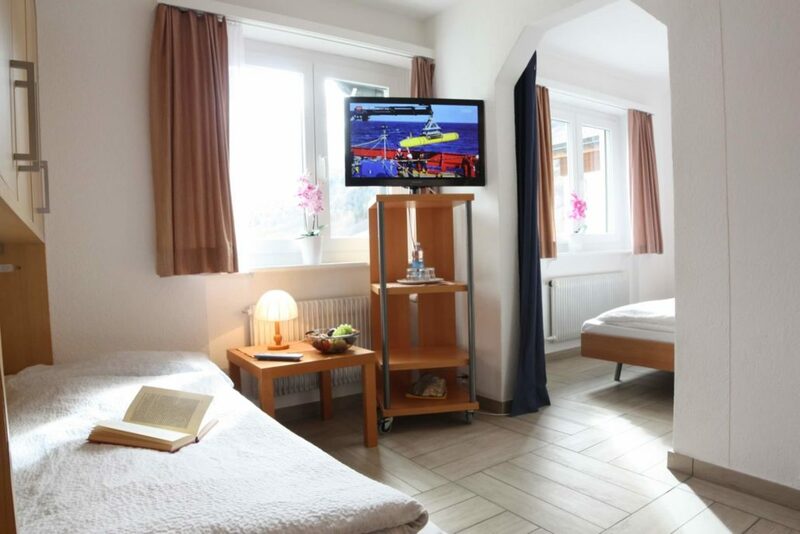 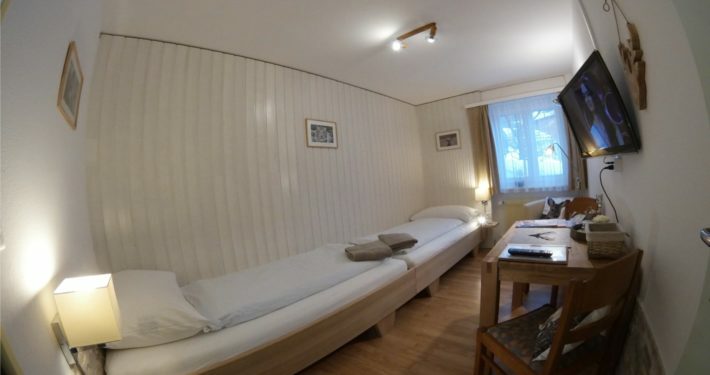 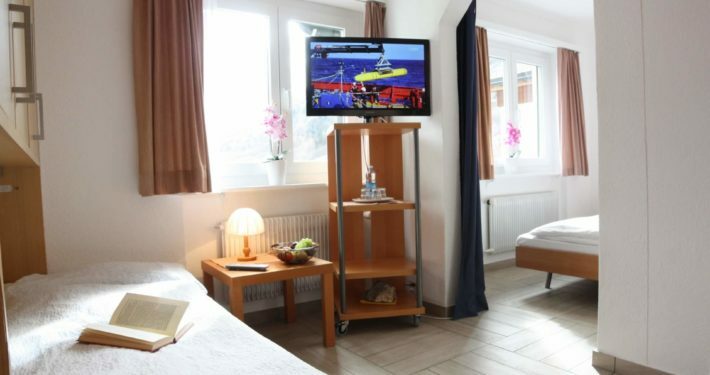 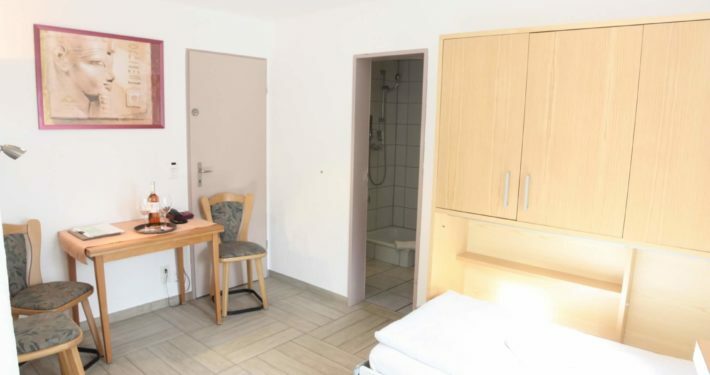 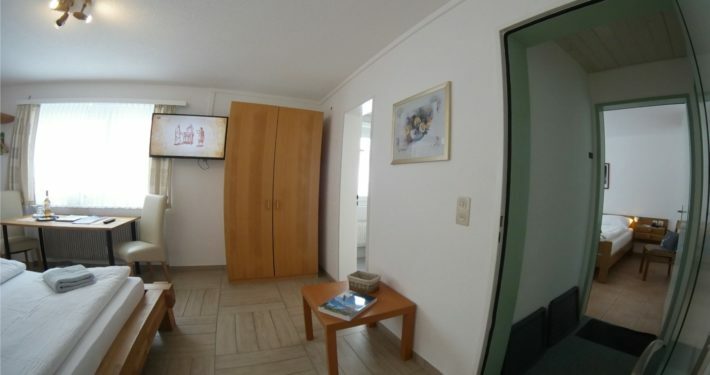 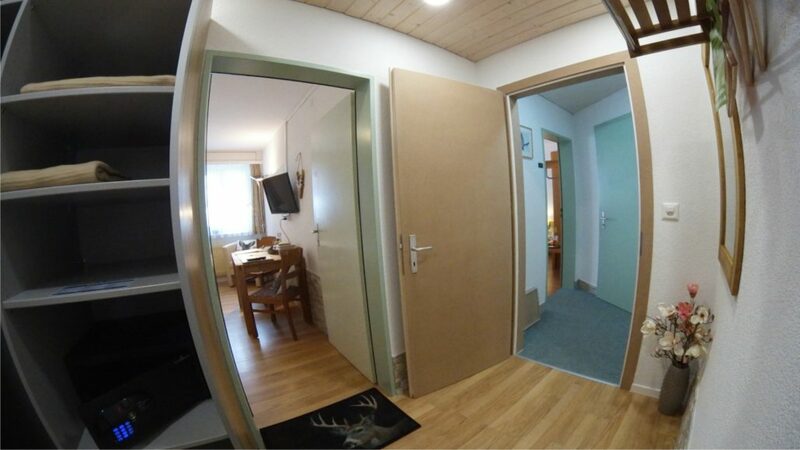 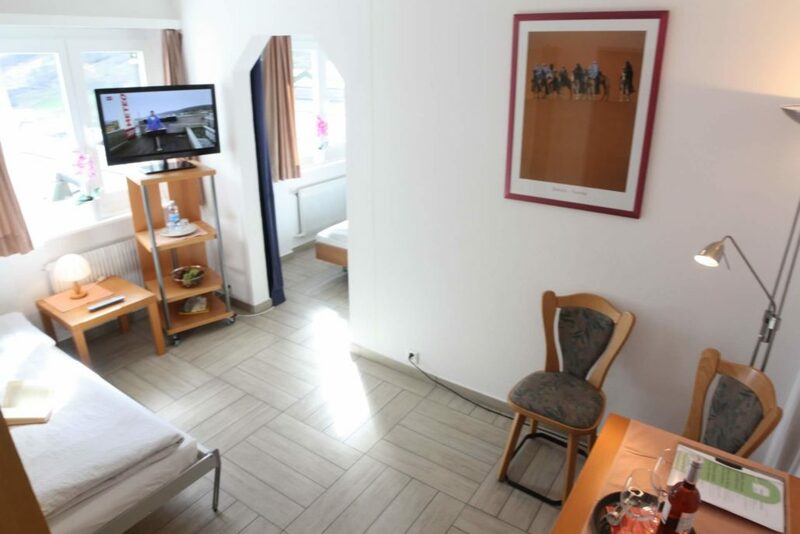 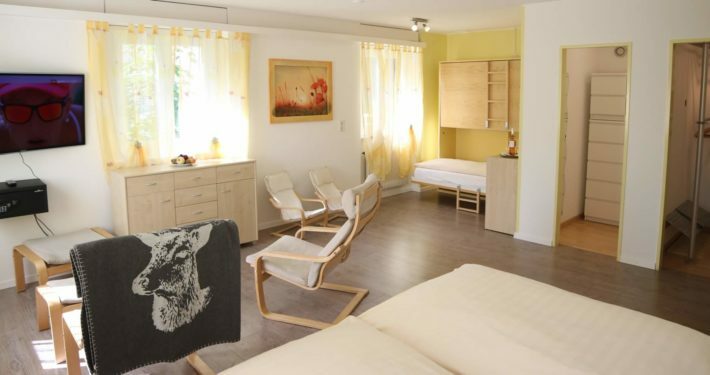 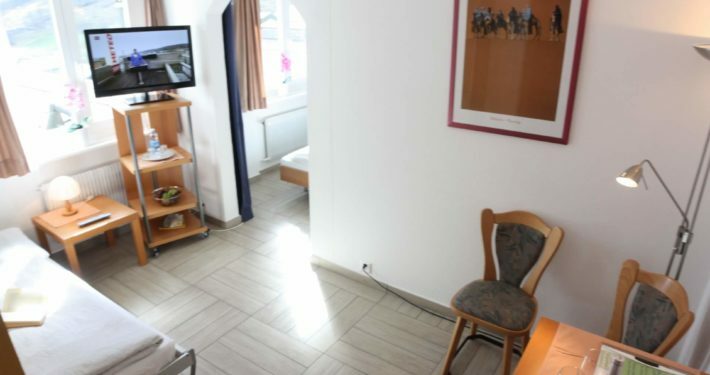 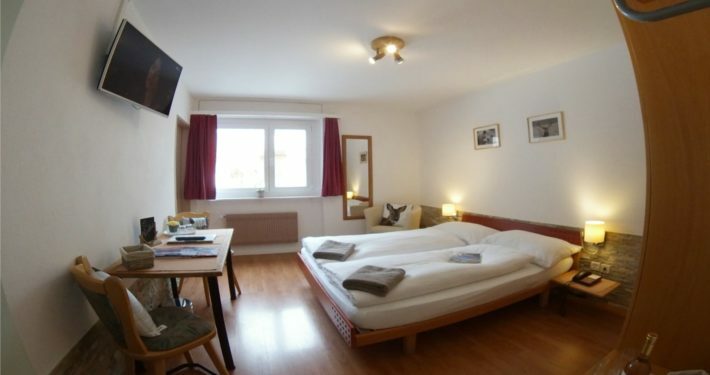 The double room (180×200 cm) offers a balcony and also one cable-LCD-TV & radio function. 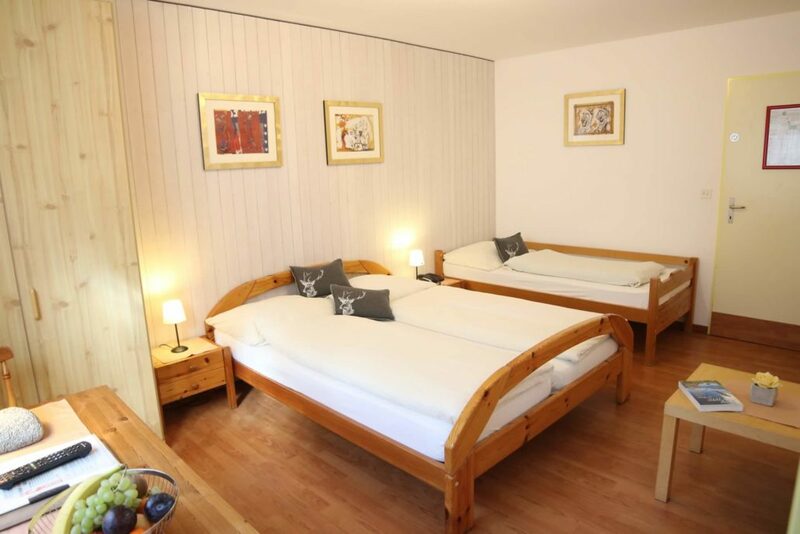 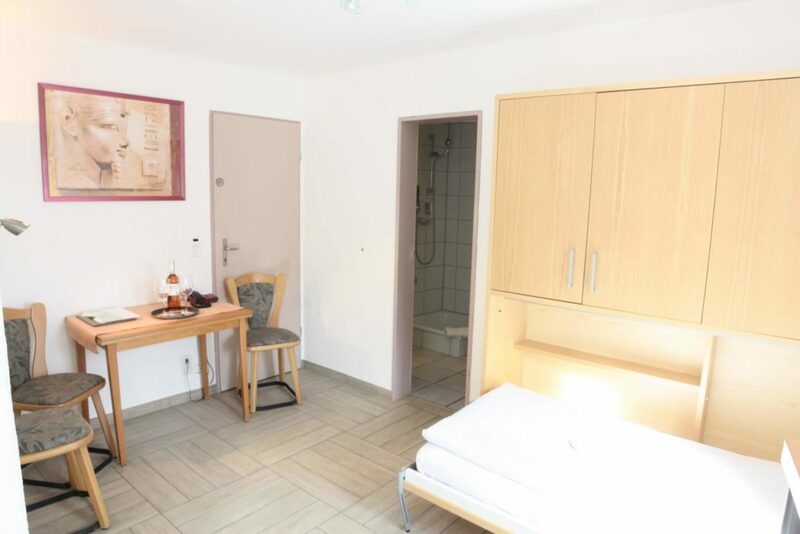 The single room offers one single bed and a babycot. 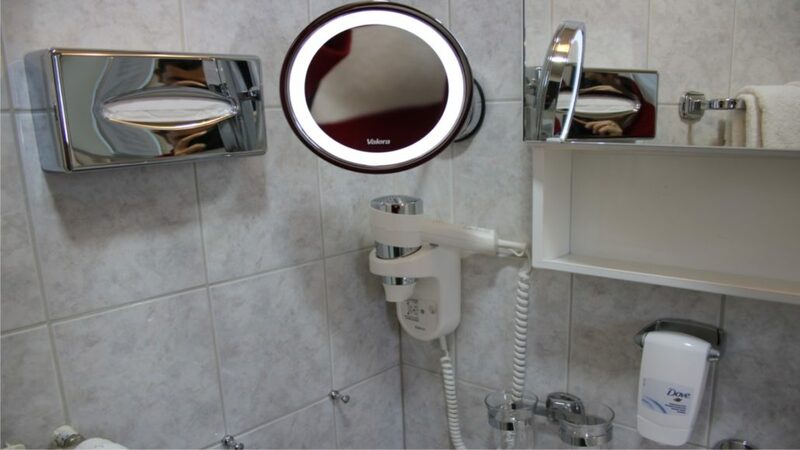 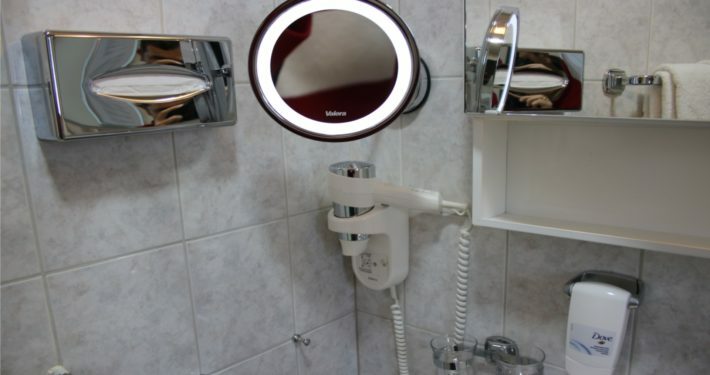 The bath room is equipped with shower and toilet/WC, hairdryer, make-up mirror. 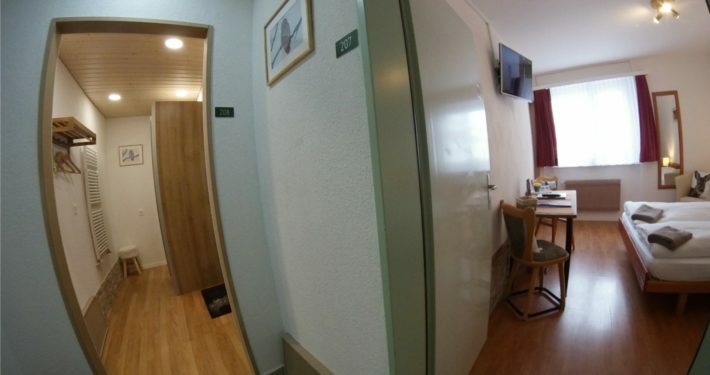 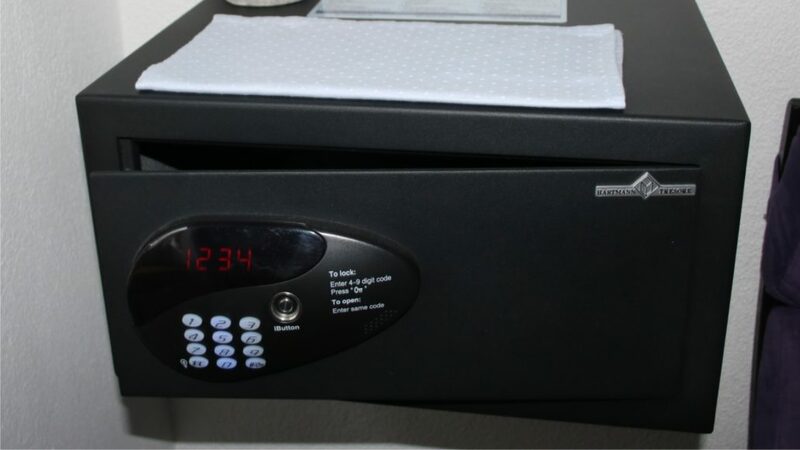 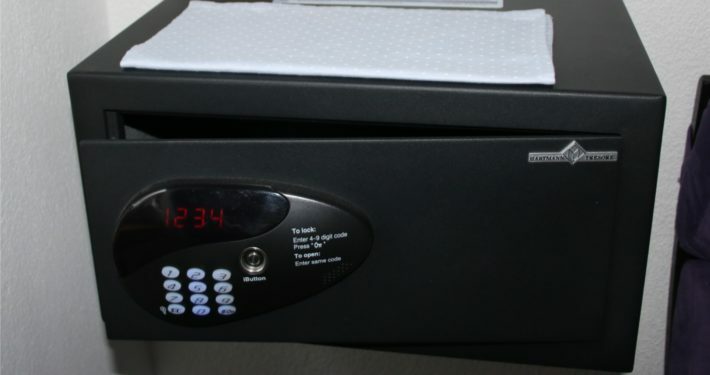 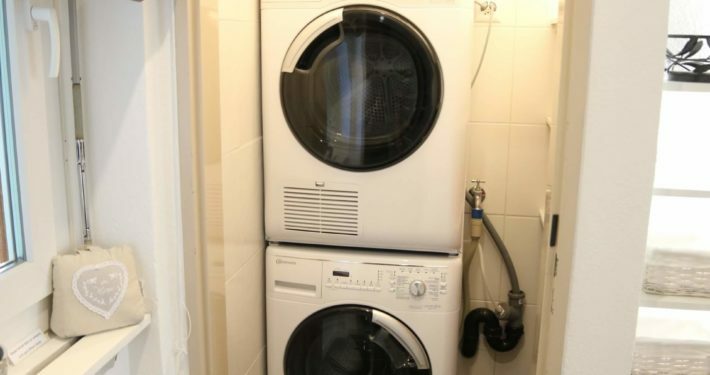 You will find also a safe in this flat and you have free wifi. 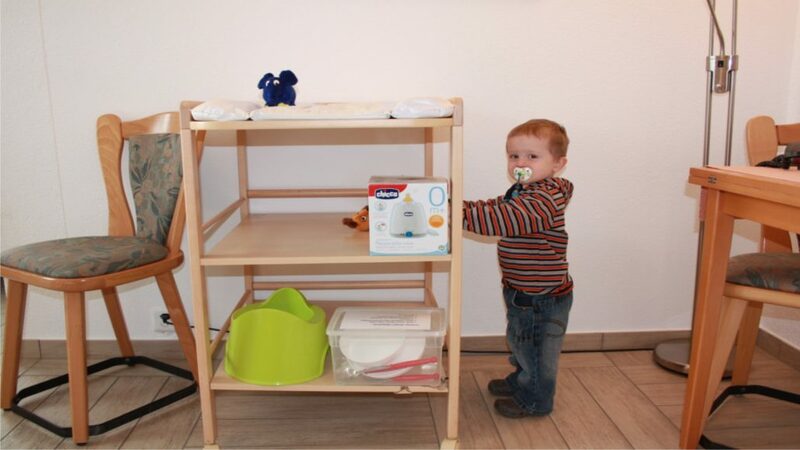 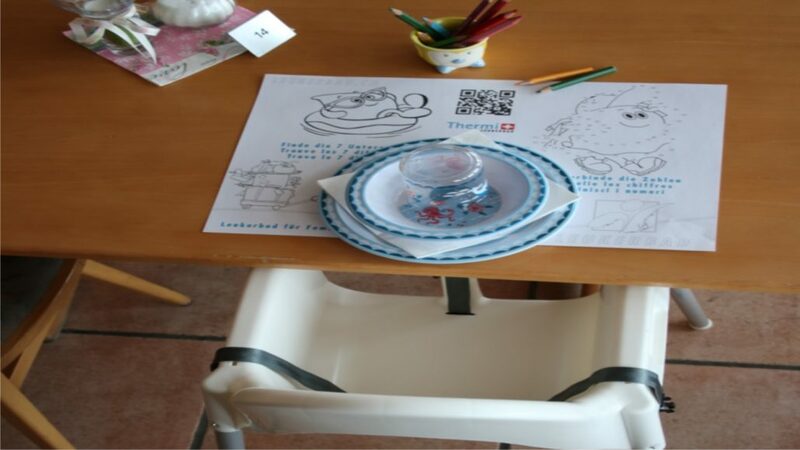 We have also special equipment suitable for children and other special things for children on demand; our elevator takes also baby carriages.